Vintage 80s coat in dark brown faux fur with hook closures. Condition: Very good vintage. Has one small lightly worn spot underneath the right side of the collar. Best fits women’s: Labelled Medium. 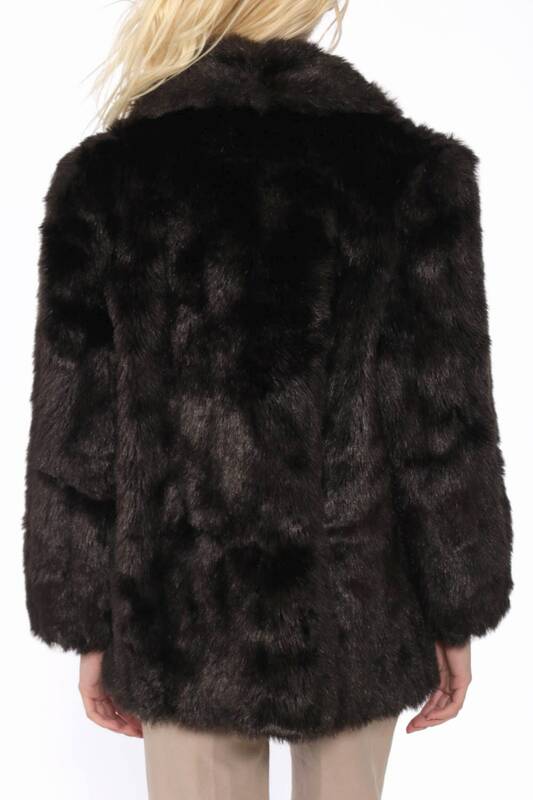 Material: Faux fur shell with what Feels like a Nylon lining.